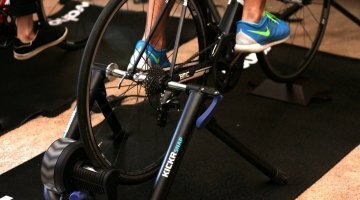 Many companies are moving in the direction of marketing to the niche crowds, such as branding bikes and attire as gravel or cyclocross-specific. 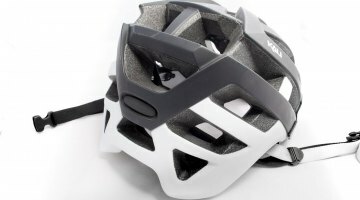 Others cast a large net with products intended for the larger cycling world. Yet there is still another category of company, one in which has designed products intended for a specific discipline that finds itself able to cater to the needs of other groups. At Press Camp 2015, several companies whose products we have never reviewed fall squarely in the third group, both Sombrio and Alpinestars are unrelated cycling attire manufacturers who market their gear towards the casual mountain biking and downhill rider, yet has a few offerings for the casual or inventive gravel or cyclocross racer. Although Alpinestars didn't venture into cycling until the Late 1980s, they have been around since 1963 as it was founded by Sante Mazzarolo in Italy as a winter sports and motorcycle off-road shoe manufacturer. In 2010, they first introduced their full textile line for cycling. One of their most startling creations for 2016 is the Paragon Vest. 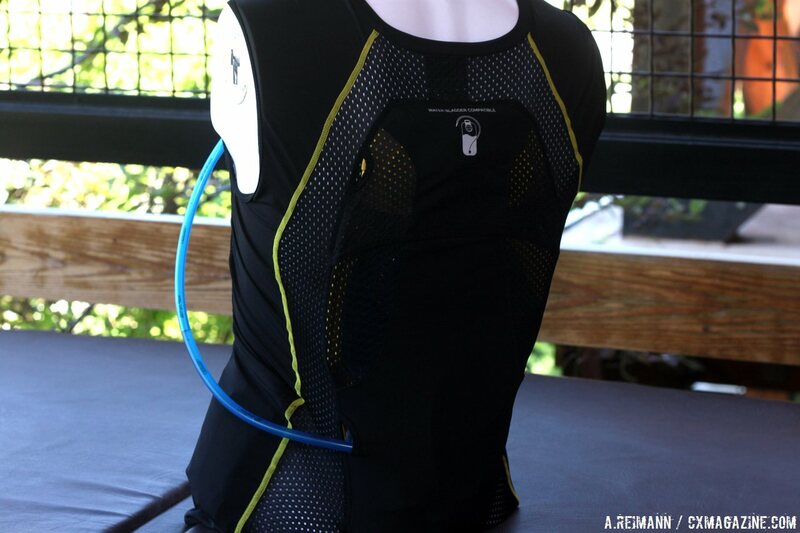 The breathable, and moisture-wicking vest can be worn as a baselayer or on its own during events that don't require sleeves. The vest was designed to offer a hydration unit while pedaling an many different terrains. The hydration bladder is built directly into the back, and is more compact and secure than a comparable unit designed for a backpack. The bladder will not move around, nor does it offer cumbersome straps to contend with, to the point where we wondered is viability for cyclocross. Sure, there will always be the haters who will scoff at the idea of hydration during a 45-60 minute ride, but after seeing the pros taking legal (and technically disqualifying) pit hand ups at CrossVegas, we can't say we're beyond looking at all options. The Paragon Vest comes with extra pockets for food as well as a cell phone-designed rear pocket. 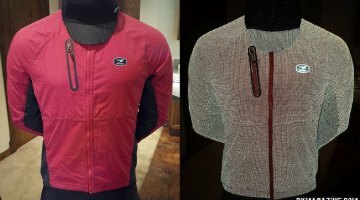 Target price not yet defined (The similar Evolution Jacket, which is another hydration vest that uses built-in protective gear, retails for $159.95 and the Paragon Vest will be "substantially cheaper" according to Alpinestars.) The availability will be March, 2016. 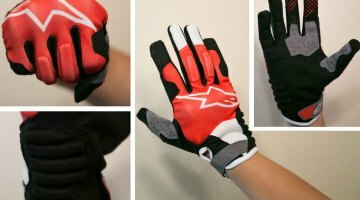 Alpinestars also makes a large variety of gloves, some of which are designed to combat the heat or cold. The Stratus winter gloves are a tight-fitting, medium weight glove to protect against the elements. The Stratus is water-resistant, insulated, and has silicone on the fingers and palms for extra grip as well as a generous dirt and snot wipe on the thumb. The model is currently availble for $39.95. The company also has two fingerless options, with the Pro-Light offering the best solution for hot-weather gravel conditions or cyclocross in September. The model includes a flexible mesh on the top of the glove for increased airflow and moisture-wicking to keep the hands from getting too sweaty on the drops or hoods. 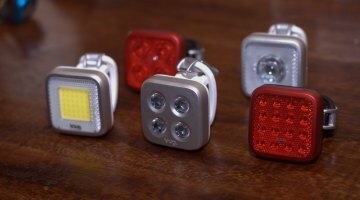 The Pro-Light is currently available for $27.95. Alpinestars' S-Light fingerless gloves are less expensive at $21.95, and instead of mesh, they are built with spandex all around with an elasticized cuff closure for a lightweight set. David Watson, the mountain biker with a world championship mountain bike title under his belt, formed Sombrio in 1998. Although the company markets itself as a casual, loose-fitting company, they still have a few items to offer the gravel crowd. 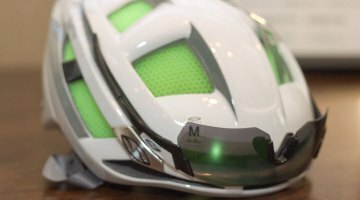 The company's Smuggle Bib Liner was designed for the all-day adventure biking or getting lost in a gravel race without needing to carry along a backpack along. Although most eyes will be drawn to the camo of the bib's edges, the real benefit of the model comes with the massive space at the back, designed with a waterproof cell phone pocket, and zippered storage. As an added benefit, it comes with SUGOi's Premium Formula FX Chamois, which is the second-tier chamois of the FXE line that SUGOi introduced at Press Camp. Sombrio offers the bib liner in all sizes XS to XXL, and is priced at $130.